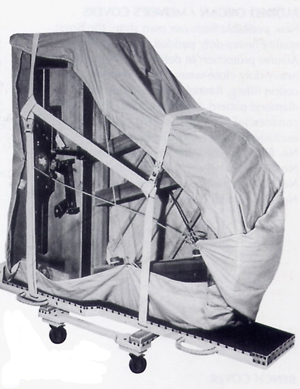 Padded Mover's Cover for Grand Pianos. For use with a Grand Skidboard, this cover insures extra protection on the long side of the piano. Constructed of black heavy close-weave duck, water resistant, and lined with canton flannel. The long side is well padded with cotton padding so that the grand may be tipped. Furnished with either two strong ropes or Grommets around the cover to attached your own ties. Free UPS Ground Shipping Express Shipping Call for cost. This was Perfect for moving our Grand Piano. Well made and protective.